Ashley, our Vice President and Board Certified Behavior Analyst, has been in the field for 12 years. She received her associate’s degree in Physical Therapy, Bachelor of Science in Rehabilitation Services and Master of Science in Behavior Analysis and Therapy from Southern Illinois University Carbondale. She provided behavior analysis services in Michigan for adults and children who suffered traumatic brain injuries, consulted in residential facilities and worked in child welfare in Illinois. Ashley was previously the Clinical Director for a large Indianapolis ABA center and is the field clinical supervisor for graduate students in behavior analysis and therapy program. Ashley is extremely passionate about utilizing behavior analysis within the foster care system to provide stable homes for children with extreme behavioral issues. She is also passionate about creating a happy and flexible work environment for employees. 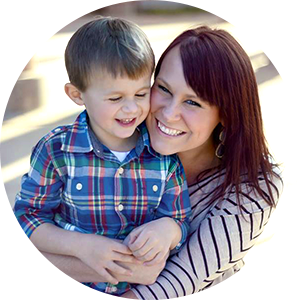 While Ashley is always busy working at Access Behavior Analysis, she enjoys spending time with her 5-year-old son, Dylan, and loves checking out the new hotspots in Indy with friends.